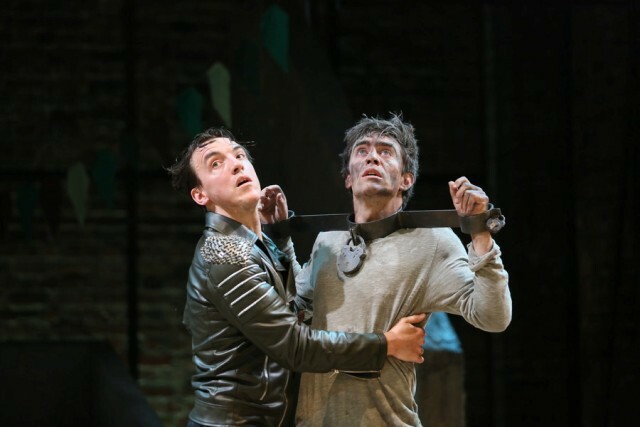 This final play by Shakespeare is rarely performed but now the Royal Shakespeare Company (RSC) is revisiting tragicomedy The Two Noble Kinsmen for the 30th birthday celebrations of The Swan Theatre. That's because the play was part of the Swan's opening season in Stratford upon Avon back in 1986, but this time around Blanche McIntyre directs, following on from her successful version of As You Like It at Shakespeare's Globe last year. Co-written by Shakespeare and a young prodigy of the time, John Fletcher, at the twilight of the bard's life in 1634, it's a brave choice as it is a frustrating piece of work that can drag at times. Having two writers means there's a disjointed feel to the piece, often with a change in style and mood between various sections. Despite that, McIntyre makes good on the comedy in this story about two best friends - knights Palamon and Arcite - who are captured in battle and imprisoned. When they see a beautiful woman from their jail, they both fall instantly in love, which sets off a chain of bitter rivalries and devastating consequences of unrequited love for both them and the jailer's daughter, who has become besotted with Palamon. James Corrigan and Jamie Wilkes, playing friends Palamon and Arcite respectively, are a breath of fresh air every time they appear on stage. Their funny, energetic and fresh performances along with the sparkling chemistry between them makes the comedy scenes all the more funny. Fight Director Kate Waters deserves a mention too for some realistic and cleverly choreographed duels between them. There's also an innovative stage adding atmosphere that is designed by Anna Fleischle, who has already won an Olivier Award for best set design for Hangmen in 2015. Huge railings spring up at the side of the stage that the pair of friends climb behind and hang precariously over the audience to show their imprisonment behind bars. It's a lovely piece of imaginative theatre. McIntyre hasn't lost sight of the women in this play either and emphasises how their wishes play second fiddle to the mens'. There's little doubt left that Emilia, the woman whose affections Palamon and Arcite are fighting for, isn't that keen on marrying either as she prefers women to men. However, her love is banded about by the men as a prize to be won in battle without her consent. 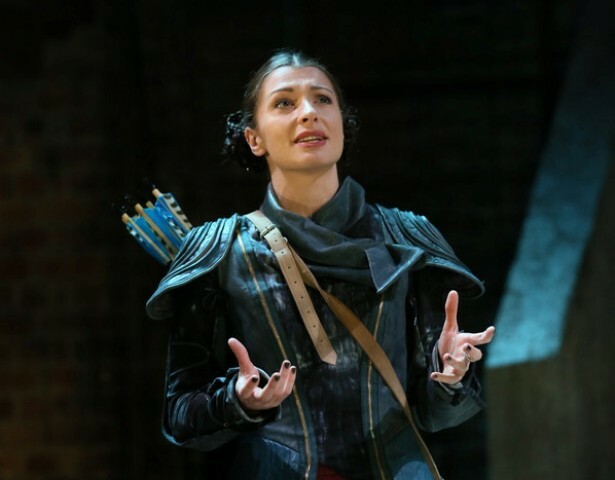 Frances McNamee returns to the RSC after its double bill of Love's Labours Lost and Won to play Emilia as a fiesty, frustrated women cornered into submission by her bullying brother-in-law Duke Theseus. But it's another woman in this play that attracts the most sentiment. Actress Danusia Samal pours with emotion as the Jailer's Daughter, who in the sadder side to the storyline, slowly goes mad from unrequited love. Yet while this play is an insightful study of the anxieties and pain of love, there are also many long speeches that could have done with having more action on stage around them to keep the momentum going. It makes for some laborious scenes at times. What you'll ultimately take from this production is similar to the play itself - a mixed bag of highs and lows. 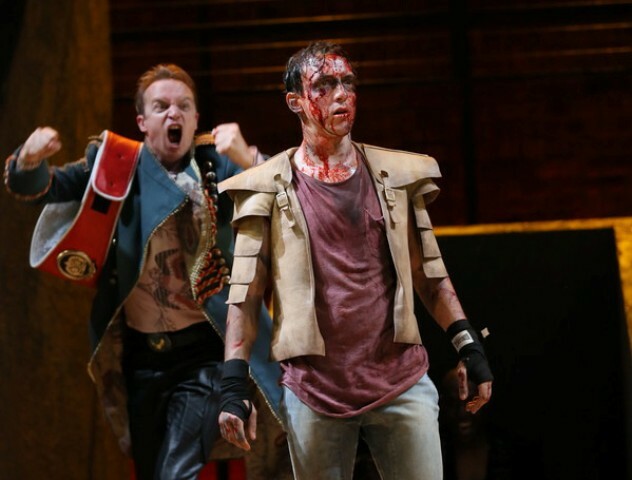 It's not one of Shakespeare's best but McIntyre has made a good effort to reinvigorate it. Running time: 2 hrs 35 mins plus a 20 minute interval. Tickets are available from £16 standard tickets or £5 for The BP tickets or BP Shakespeare Pass for 16 – 25 year olds from the RSC website or by calling the Box Office on 01789 403493.